Err, Yeah it’s been alright mate lol. I have to say I have had to pinch myself al quite a few occasions this year, it has been the best year I have ever had especially for big fish. My first fish out of year from Welly broke my personal best of around 11 years with a fish called willow at 45lb 10oz and I haven’t really looked back since. So far I have banked 23 fish over thirty including 6 over forty. I have been telling myself constantly “all will be back to normal again soon”. I do have all intentions of carrying on fishing Welly on the better weather conditions. I keep telling myself “all it takes is one bite”. The truth be known though I do love a good social in the winter. Sometimes fishing places like Welly you don’t have that much time to spend with your pals just having a laugh. That is the main reason I started carp fishing in the first place. This usually takes place on Sandhurst throughout the colder months and to be honest with me being in the BCAC qualifier on Sandhurst next April it wouldn’t do me any harm to brush up on the Sandy skills. 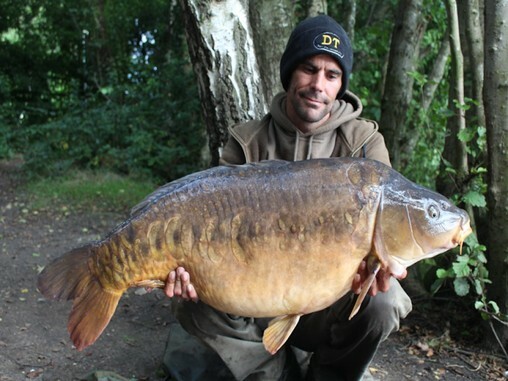 With such a successful carping career already what would you say has been your ultimate highlight? That is a very hard question to answer because quite a few occasions are massively important to me. Id have to say the week I fished down at Horton Church Lake one October when I had a right red letter week, banking seven carp nearly all of them over 35lb including Shoulders at 44lb2oz and Black Tail at 36lb 4oz. These are two big old history beasties that I read about when I was a kid. To be holding them in my hands blew my mind and I went to pieces. PETALS!!!! I can still remember shouting it now. I suppose this still means the most to me because I wanted it so much. 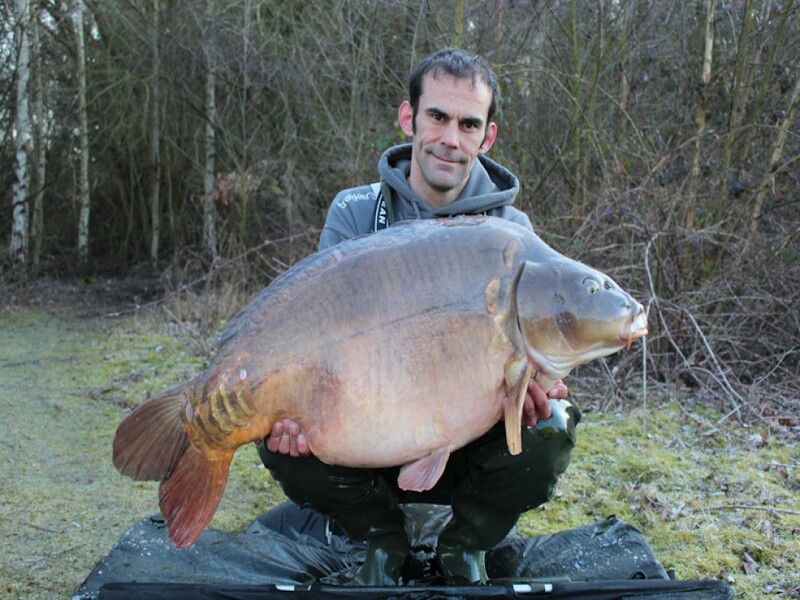 I had seen quite a few of my mate’s catch her and she was so much bigger than any other fish in the lake. I had already caught most of the others and I just had to prove to myself that I could catch it. When I finally did, I think the feeling I had made me realise that carp fishing would be a part of me till I die. My little go anywhere rig which is a size 6 or 8 Korda wide gape knotless knotted on N-trap soft in 15lb with a bit stripped back by the hook. This has a blow back ring on the shank, a small bit of shrink over the knot and a number 4 split shot just under the hook as a counterbalance for the pop up. This is a great rig just fished with a pva bag or corn stringers, this is also what I use when fishing over spod mixes and 10mm boilies. The Welly rig I use that is a size 6 Korda choddy with a choddy section made of 25lb mouth trap whipped on to a boom section of 20lb N-trap soft. This is fished with a pop up and is counterbalanced with a piece of dark matter putty on the combi link knot. This rig is great for big fish and is my first choice for fishing over just boilies. hook baits work the best because it is consistently buoyant and is usually fished between 2ft and 4ft from the surface. Best thing fishing has taught you? To always be humble and keep your feet firmly on the ground. Never be jealous just envious. Be happy for others when they catch and always know that everybody is equal. No one will ever below you in any shape or form. Never put anyone down and always help people to succeed in there dreams wherever possible. The greatest buzz I get is seeing someone catch what they’re after because of something I have said. Also never ruin another mans fishing in a desperate attempt to catch. Sometimes it’s just not your turn, every dog has its day and don’t spoil somebody else’s because one day it will be your day and hopefully no one will spoil it for you. Tea making stuff. Without a good cup of tea on the bank id surely catch nothing. My phone. This keeps me in touch with everyone and is used for pretty much everything from facebook/ twitter through to checking the weather and watching TV catch up. A decent reliable bivvy. Being so far away from home at times it is essential to have a reliable shelter to keep all of the elements out. I have been asked this question many times and have usually answered with Horton Church Lake. However, Wellington country Park where I am fishing at the moment is like a lake from the gods for me. I constantly refer to it as Carlsberg Lake because it simply has everything I have ever looked for in a water. It is a beautiful place with plenty of massive carp, safe parking and a great bunch of lads that makes fishing there an absolute pleasure. Hopefully more of the same as this year. I am keeping hold of my Welly ticket, and have a massive desire to bank one of the 3 big commons in the lake so with a bit of luck one of those will roll in my net at some point. 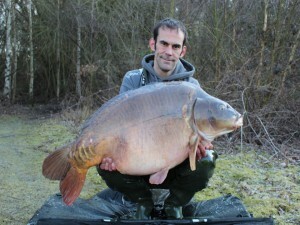 I would like to keep hold of my ticket on a local lake as well but I will have to see nearer the time on that I think. 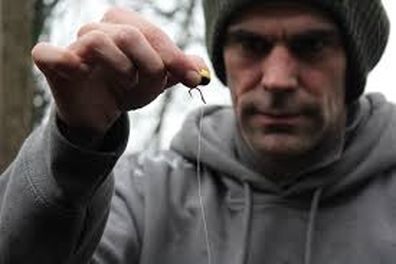 There is also my first go at the BCAC in 2014 which I am looking forward to massively.